Earth Observation refers to images and data that allow for the observation of large-scale environmental phenomena with the appropriate time and space accuracy. Space-based data acquisitions are complemented by other ground-based data collection systems such as buoys, to meet Earth Science community research and application requirements for the generation of information; knowledge as expressed in detailed scientific results and publications; and operational applications for monitoring the earth’s environment. ICT services supporting the earth science domain like web portals or client applications have to deal with continuous streams of data sources, which need to be collected, organized and presented to consumers. The management of this data must take into account not only the huge volumes of information, but also the different scenarios that can use and re-use such content together with the different categorization schemas possibly applicable to them. To date, the Earth Science community has focused its efforts on developing and using very advanced standards for metadata specification and services for data handling, such as those promoted by the Open Geospatial Consortium (OGC) and the INSPIRE initiative. Providers of geospatial and Earth Science related information maintain their data archives and derived knowledge in huge databases supported by sophisticated user access services via web sites and portals with rich and navigable descriptions of their content, such as the Earth Observation community portal and data access directory and catalogue services such as Earthnet online and the Global Change Master Directory. State-of-the-art in research libraries targeting the earth science shows a lack of digital instruments to access and retrieve the type of information cited above to then use and share it. In short, it is a user-centric approach that is lacking in most of the current services and access points to earth science information. The reason for this is that limits usually imposed by several restricted search functionalities and fixed representation produced automatically from standard templates with content regularly fed from databases. Such limitations are restrictive as Earth Science representations can be dynamic, with variations dependent on diverse contexts and scenarios of work in addition to systems dedicated to collecting data on-demand from different sources and responding to different needs. These work in a similar way to an RSS aggregator based on user preferences. The EC-funded intiative, DILIGENT offers a concrete reference example with the participation of the European Space Agency (ESA) and a focus on exploiting and integrating Digital Libraries (DL) and grid technologies. The integration of is part of the drive to enable end-users to gain from distributed computing and large storage spaces, as well as from typical high level services to access and retrieve information. Be based on unlimited hw resources (disk space, processing power, network capacity etc). Enable full-text and geospatial search and browsing. Offer facilities to enable: the collaboration in virtual spaces built on-demand following users requests, the definition of personalised views via selection of content of interest, the semantic annotation of information to enrich customized views, the retrieval of annotations and, the inclusion of information. Be interoperable, offering facilities to plug-in user defined algorithms and applications to manipulate and processing contents. Be easy to reach use and possibly to host. This last point has enormous impact in Earth Science, where a number of everyday and emergency applications involve the collaboration of scientists spread around the globe and coming from slightly different cultures who need ease of use, fast access to information, and accuracy of the software instruments at their disposal. Researchers and developers in the ICT domain often do not take this aspect into account. The DILIGENT test-bed demonstrated the usefulness of concepts like virtual organization, user workspace, collection, compound service and living documentation with the aim of creating on-demand ad hoc transient DLs and then aggregating pertained information into report documents, for example, on the environment status, browsing, searching and managing users’ workspaces from within virtual research environments. The user interface delivered is based on relatively recent technologies. These are essentially dynamic html and features interaction modalities for content objects; such as, moveable interactive knowledge units which are generated upon queries submitted by the user. These can be inspected, annotated towards user defined ontology, aggregated and saved into users’ baskets, as well as being re-accessible on a per-user basis. 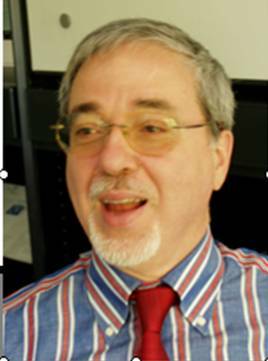 Dr Luigi Fusco has over 30 years of experience in Earth Observation systems and application domains. He is currently Senior Advisor for Earth Observation Applications at the Earth Observation Science and Application Department, European Space Agency. Luigi is involved in a number of EC-funded projects. He is co-ordinator of GENESI-DR (Ground European Network for Earth Science Interoperations - Digital Repositories) and participant in DEGREE, D4SCIENCE, CASPAR and Collaboration@Rural.